Vodafone's plans for a Nokia N900 UK release date for January have taken a turn for the more concrete, with it emerging that the phone will be available on 7 January 2010. However, The Carphone Warehouse will be jumping ahead of the network, by making the new N900 available in its stores from 26 December. Of course, it has been on sale from Nokia direct for a good many days now, but this is the first time the public will be able to get it subsidised from a network in the 'normal' manner. The phone will be available from Vodafone for free on a £35 a month contract, running for a 24 months, although there's no information on what this will give you. However, with the N900 being a very data centric device, we'd imagine there would be a pretty generous web bundle. Vodafone was long rumoured to be the first carrier of the N900, and duly delivered - although we don't expect it to be exclusive to that carrier, with O2 and Orange also likely destinations for the device. 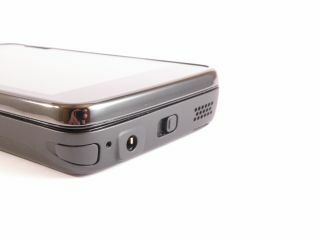 You might remember than the HTC HD2 was dropped from the Vodafone range in response to mysterious 'other smartphones' coming up - this, along with the iPhone will be released in January, so it seems Vodafone wanted a QWERTY device rather than a large tablet phone to sit alongside Apple's effort.